The Philippines lies in the path of typhoons and earthquakes in Southeast Asia. Annually, the country is visited by numerous typhoons resulting in catastrophes i.e. mudslide in the Northeastern provinces in the big island of Luzon and floods in the Metro Manila area, and many more calamities. Lakad Tulong, an ad hoc entity, was formed in response to the devastation wrought by typhoon Frank, when a group of community leaders in the tri-state area, in cooperation with the Philippine Consulate General in New York, banded together and raised funds to help the victims of this typhoon in 2008. Because the fund-raising effort was started as a reaction to the disaster, funds took time to be raised and sending the aid to the Philippines even took longer. None the less, the outcome was so successful. As an offshoot of this experience, the community felt it necessary to be proactive instead of being reactive. This led to the decision to establish a foundation solely dedicated to raise “ready” funds to help in a heartbeat, those affected by future devastating natural calamities. Thus, Handang Tumulong Foundation, Inc. (HTFI) was born IN 2009. Sixteen (16) charter founding members were signatories to the incorporation papers. It was on January 10, 2010 when HTFI was formally and legally incorporated in the State of New Jersey. HTFI was granted by the Internal Revenue Service a 501(c) (3) non-profit status with tax Id 27-1805860 on February 1, 2010. The primary purpose of the organization is to raise funds for the needy and victims of natural disasters and catastrophes anywhere around the world, especially in the Philippines. The foundation is a public entity, and has been successfully raising ready funds to date, which enabled it to send immediate relief, monetary and in kind, in the most expeditious manner. HTFI has lived up to its name – ready to help when it is much needed. Handang Tumulong Foundation, Inc. is registered as a Charity organization in New Jersey with the tax exempt organization number 271-805-860/000. To raise funds, two major events are held annually. The first is a cultural event, usually held the first quarter of the year. The second major source of funds is the walkathon, aptly called “Lakad Tulong” held in October. The walkathon, which started in 2009, has become the signature event of HTFI. For every event, corporate sponsors as well as media sponsors are sought. Letters of appeal seeking donation are likewise implemented. All these fund-raising activities have netted enough revenue to allow HTFI to send monetary assistance to the victims at a moment’s notice. 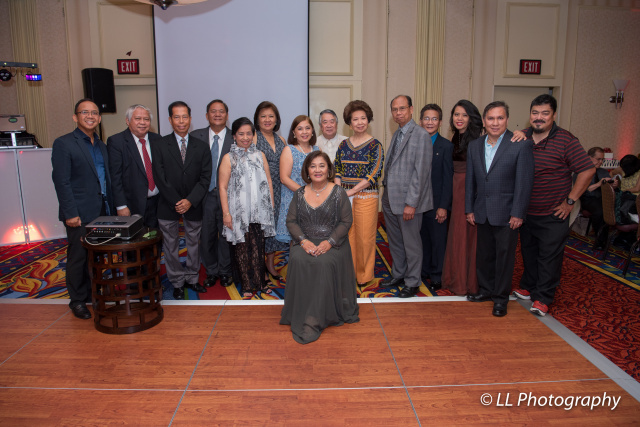 HTFI have established a dedicated corps of volunteers and donors, such as the Central New Jersey Fil-Am Tennis Club, the Filipino Group of the UN, Filipino American Association of Fair Lawn, the Federation of Filipino American Society in New Jersey, the Marriott Hotel, to name a few. A sizable number of private individuals have also sent in donations, in response to HTFI‘s appeal for help. Some are in large sum, the rest are within the budget of a typical charitably inclined individuals, but always, their accompanying notes speak of their heartfelt desire to be part of an effort to help the Kababayans suffering from catastrophes back home, no matter how little the sum is. When a disaster, such as flooding, is reported in Filipino media, the President convenes the Board of Trustees, the governing body of HTFI, in an emergency meeting to discuss where and how much money to send, guided by a set of criteria drawn since inception of HTFI. The guidelines are: 1) the recipient of the monetary assistance must be a verifiable organization in the Philippines, thus, there is a need for a recommendation from a Trustee, or a reliable Filipino community leader; 2) the money will be sent via bank to bank transfer, with required information such as name of the bank, address, account holder, account number, routing and ABA number; 3) proof of receipt and how money was spent is requested from the beneficiary. Photos will suffice, but a letter of acknowledgment and thanks is respectfully requested. In 2010, HTFI donated $500 to the flood victims in Pakistan and money was directly given to the Consulate General of Pakistan. To the tsunami victims in Japan, $1,000 was sent to Caritas Japan. Both entities have sent in their letters of appreciation thanking the Filipino people for their generosity. Rightly so, because it was made clear, when the donations were given, that it was on behalf of the Filipino people. For Typhoon Sendong, the Board of Trustees voted to send the money raised for the victims of typhoon Sendong in Cagayan de Oro, but course thru the Philippine Jesuit Foundation in New York, with stipulation that the donation will be given to Xavier University in Cagayan de Oro. Xavier University was the logical recipient because they were in the forefront of the relief operation, plus they have the infrastructure to do massive relief efforts and a hospital to treat the injured. HTFI also requested that part of the $17,000 donated be given to Iligan City victims of same typhoon, and to use part of it for the rebuilding effort of Cagayan de Oro.